Common wisdom and certain rangers will tell you that mines are no place for a pony. Horses are large creatures after all, and it can be tough to fit through those narrow passages. 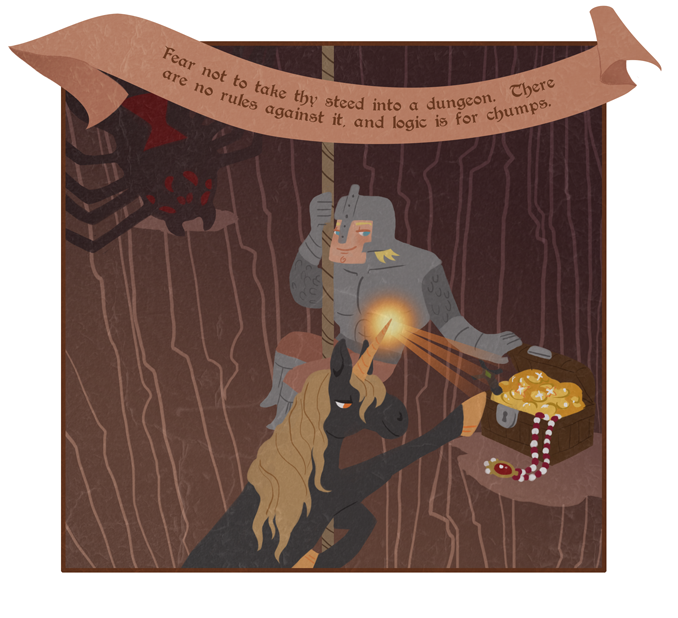 Never mind the squeezing rules, the narrow frame feat, the 5 gp block and tackle, the hosteling magic armor, or the fact that certain classes are predicated on the idea of dungeon delving with a horse bro. Despite all this there’s still a prejudice against equine companions, and a wholly unfounded sense that they are not allowed in subterranean settings. “Just play a halfling,” they say. “Ride a dog,” they say. Well you know what? As cool as a lowrider dire dachshund might be, I sometimes want to put on my big boy pants and charge like a half-orc. Don’t get me started on those mammoth riders though. Taking Dumbo indoors is just silly.